— Wendy Anne McCarty, Ph.D. In her 2018 article, “Consciousness at the Beginning of Life,” published in Pathways to Family Wellness, Wendy Anne McCarty, Ph.D. explored a shift in the way we understand babies and their earliest human experiences. In a more recent article, she digs deeper into the topic and shares more about what babies are teaching us and how this newfound knowledge can help men father their babies, even during pregnancy. McCarty explains that, from conception, babies are whole beings craving a human experience. She maintains that dads play an important role in pregnancy by being intentional about forming a relationship with the baby. As a father, you can help shape that tiny being into a person with a strong sense of self and wholeness. You can do that by caring for your baby, singing and talking to her, and keeping your environment as “harmonious, healthy, and as stress-free as possible.” These early experiences in the womb create a bond with your baby and form the foundation of his beliefs, values, feelings, and thoughts. In the article, “The Beauty of Fathering During Pregnancy: What Babies are Teaching Us,” McCarty interviews a couple about their experience as parents, and they talk specifically about their thoughts and feelings during pregnancy. The father shares that men may feel excluded or fearful during pregnancy. 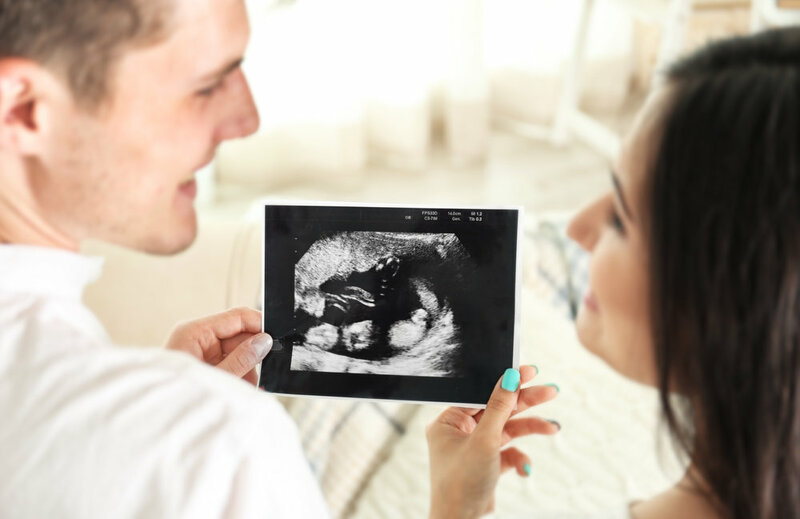 He, though, felt very connected to his baby and said that special time drew him closer to his wife, even as they each bonded with their unborn child. They vowed to love their child and give him everything they possibly could. To that end, they treated the pregnancy as “magical,” playing music, talking to their baby, and simply including him in their relationship so he’d know he was cherished. Read the full article for their interview, then continue below for McCarty’s 12 guiding principles of prenatal and perinatal psychology to learn more about your baby’s needs and the ways you can connect with your baby during pregnancy and in infancy. Optimal foundations for growth and resiliency, including brain development, emotional intelligence, and self-regulation are predicated upon optimal conditions during the pre-conception period, pregnancy, birth, and the first year of life. From the beginning of life, babies perceive, communicate, and learn in ways that include an integration of mind-to-mind, energetic, and physical-sensorial capacities and ways of being.